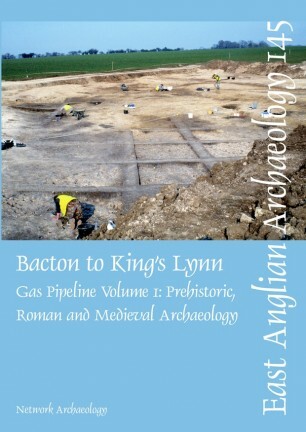 Archaeological excavations were carried out along the route of a pipeline crossing the northern half of Norfolk, before and during construction, in 2003. Evidence of Neolithic settlement was found at East Walton above the Nar Valley; and, more speculatively, at Weasenham Clumps. There was also activity at both sites in the Bronze Age. A round barrow at Tittleshall and a small cremation cemetery at Antingham provided evidence of Bronze Age funerary practice. The re-use of the Tittleshall barrow as an early Anglo-Saxon cemetery is described in volume 2, now in press. The earlier Iron Age period was represented by a group of pits at Oulton, a site subsequently used for Anglo-Saxon iron working. Iron slag was also recovered from a late Iron Age or early Roman site at Colby. 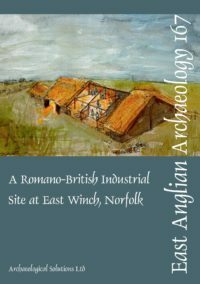 The remains of an Iron Age roundhouse were found at Foulsham, along with a cruciform drying oven dated to the second or third century AD. Elsewhere, Roman finds were sparse, although sites at Bradfield and Rougham had evidence of nearby settlements. Medieval remains uncovered at Foulsham, Bintree, Themelthorpe, West Dalling, Itteringham and North Walsham imply substantial reordering of the landscape in the late medieval period, reflected in the abandonment of these earlier sites.